Over the years, monitors have become thinner and larger. The quest to have the most viewing space is well underway, and the current battle is being fought over bezel thickness. Thin bezel screens offer the ultimate viewing experience because the frame around the monitor glass is so thin, it barely exists. When the bezel is tapered just right, visually, the frame disappears altogether. Of course, the monitor’s construction should be sturdy. Ideally, it should be a stiff polymer or aluminum. However, one of the key components to a monitor’s construction is the carrying handle. For instance, the bezel on these models is so thin, you cannot pick up the monitor by the edge. Doing so will squeeze the LCD crystals and cause a flaw in the screen. Some models design the stand to be used as a handle. They do this by cutting a hand hole into it. Others have handles on the backs of the monitor. However, the monitor is constructed, you should make certain it can be carried safely. The best monitors have a minimum resolution of 1920 x 1080 pixels. Some of the premium monitors will offer 4K resolution. A monitor with multiple connections will offer the best options for different home situations. 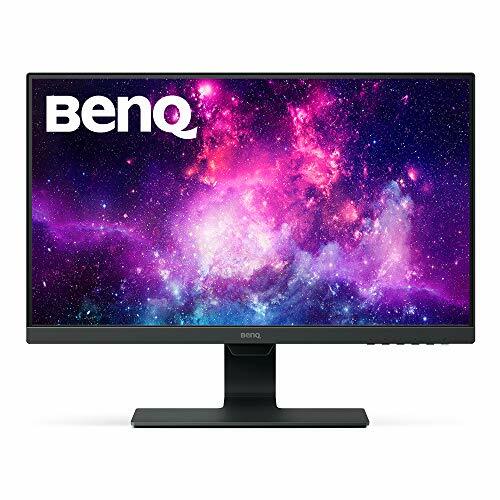 You should look for a monitor with the following connectors. Warranties vary wildly. Some might have a 90-day warranty. Others might have a 12-month warranty. You should always review the warranty prior to purchasing. 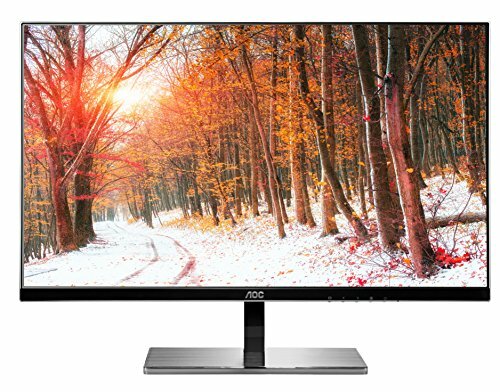 The 24MP88HV-S, full HD, IPS (in-plane switching) monitor from LG brings improved color reproduction, shortened response times, and clear, sharp viewing from virtually any angle. At a mere 2.5 millimeters, this monitor is unbelievably narrow. In fact, it is practically borderless, making the monitor almost completely screen. 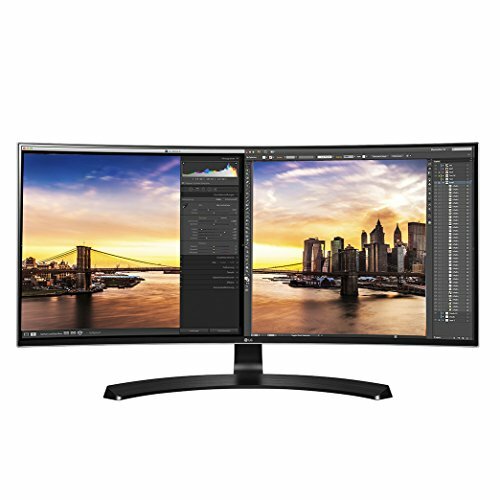 Since the 24MP88HV-S delivers over 99 percent of the sRGB spectrum, this LG monitor is perfect for professional graphic designers, photographers, or anyone else in need of extremely accurate color. Additionally, users can customize the layout of the monitor using the split-screen option, which allows users to simultaneously and easily display multiple windows and work on a variety of items. In addition, there are 14 options, including the ability to choose between four picture-in-picture (PIP) settings. The monitor boasts a sleek design made possible by the ArcLine stand. The bass incorporates a smooth, curved design, creating a sense of stability and elegance. In terms of quality, dark scenes are no longer an issue with the black-stabilizer technology. This extra feature senses dark scenes and automatically adjusts the brightness. The R240HY from Acer is eco-friendly and ergonomic. By using recyclable, safe materials, the EcoDisplay design highlights this company’s commitment to reducing waste. In fact, this monitor is mercury-free and certified ENERGY STAR. The display can easily adjust from a tilt of -5 degrees to 15 degrees. This provides users the ability to optimize their media experience by choosing the best sight-line available, thereby enhancing any viewing experience. In addition, the flicker-less technology and blue-light filter make viewing a pleasure while decreasing eye strain, respectively. 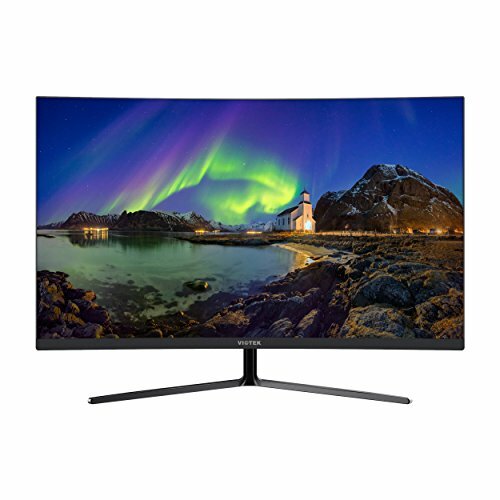 Additionally, the IPS technology provides high-quality color performance at any viewing angle, and the 1920 x 1080 resolution ensures users experience stunning detail. Because of this quality, the R240HY is perfect for any multimedia or productivity application. HDMI, VGA, and DVI inputs are all supported, allowing users to quickly and easily power their tablet or smartphone. Additionally, users can enhance their enjoyment of these devices by viewing them on the full-HD display. The elegant profile and ultra-slim bezels of the GW2480 from BenQ allow this monitor to easily complement any decor. Additionally, the high-quality, texture etching is designed to resist annoying, fine-scratch whirls while feeling luxurious to the touch. The base is sculpted to eliminate extraneous edges and enhance the graceful appearance of the monitor’s profile. Extending the elegant look, BenQ has implemented an invisible, cable-management system that cleverly hides all of the wires inside the monitor stand. This clean, sophisticated look will add to the modern look of any home or office. Finally, the GW2480 includes brightness-intelligence technology (B.I.Tech) that senses content intensity to enhance dark areas and to eliminate overexposure of bright scenes–all while providing continuous, crystal-clear viewing. The VZ239H-W’s eye-care technology is designed for extended viewing, and the built-in, 1.5-watt stereo speakers are designed to deliver extraordinary sound. Combined, they represented just two fantastic features of this monitor. An additional wow-point is the ultra-slim, 0.27-inch profile, which is a mere 7mm at its thinnest point. This frameless design will not intrude on any design scheme and is perfect for multi-monitor viewing. Moreover, VZ239H-W has flicker-free technology which reduces any perceivable flicker to ensure a comfortable viewing experience. This advanced technology is important in that it reduces eye strain, especially for users who spend countless hours watching favorites movies or playing games. Finally, users will also enjoy the 178-degree viewing angle and advanced IPS panel. For quality, this monitor provides an astonishing 80,000,000:1 contrast ratio, which, to say the least, is hard to beat. With its ultra-thin, .13 inch profile, this monitor, from Viotek, will easily blend into any setup. This is a sleek, border-less monitor that takes aesthetics into consideration. 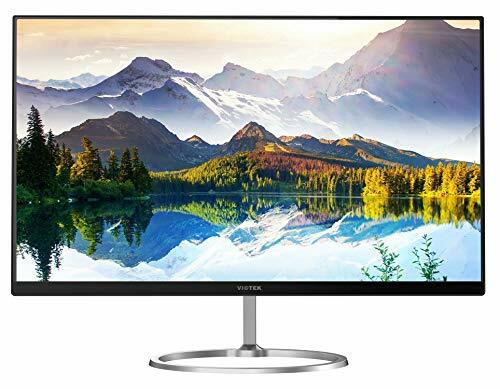 For instance, it is a bezel-less HD monitor with a display that runs right up to the edges of the monitor, resulting in an elegant, sophisticated look. 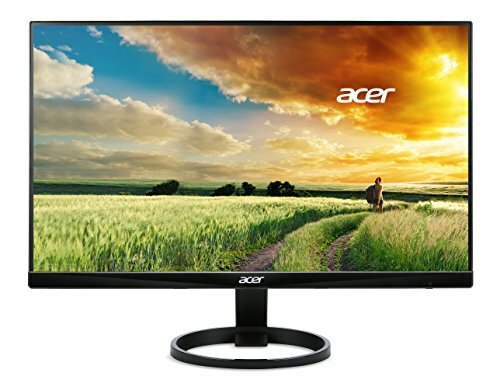 In terms of performance, this monitor offers fast response times and a crisp, clear, widescreen format from virtually any angle. In fact, users will see more than they ever have, Thanks to the DCR ratio of 2,000,000 to 1, colors do not blend into each other. Additionally, with the capability of displaying 16.7 million colors, viewers are immersed in an unparalleled, cinematic experience. The HA238 allows users to connect the monitor via HDMI or VGA cables. The FHD monitor from HP delivers detailed, vibrant images and is a perfect addition to any desktop. The edge-to-edge, bezel-less display supports multiple seamless-display configurations, and the sleek, ultra-thin, space-saving design ensures easy integration with any setup. The easy-tilt feature allows adjustments of 5 degrees forward and up to 25 degrees backward, ensuring a forward angle in just about any environment. The monitor is technicolor certified, meaning it provides high-quality, true-to-life colors for every viewing need. The ultra-wide, 178-degree horizontal and vertical viewing angles ensure every seat in the house is the best. Additionally, all viewers will enjoy vibrant color and consistent detail because the anti-glare panel ensures the sun or indoor lights will not interfere with viewers’ enjoyment. Finally, the FHD monitor from HP monitors is designed as ‘plug and play’ for all OS. The S2415H allows users to expand their computing experience with a variety of connectivity and multimedia features. For example, the dual, 2 x 3-watt, integrated speakers deliver rich, full audio for an enhanced listening experience. Additionally, users can effortlessly stream video or audio from a smartphone or tablet. The viewing angle can be customized by tilting the monitor either 5 degrees forwards or 21 degrees backwards. The 1920 X 1080 resolution and 60Hz refresh rate give viewers crystal-clear, realism. Additionally, the 178-degree, ultra-wide, viewing angle ensures optimal viewing at any angle. Finally, Dell also includes Power Nap as a power-saving feature to help minimize power consumption, and the VESA option allows for mounting the monitor on the wall. This monitor is attractive, styled in burnished silver and glossy black. 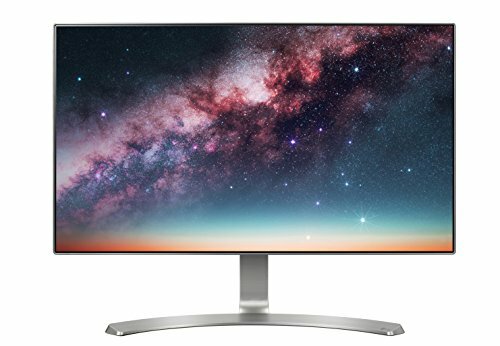 The AOC i2777fq does not advertise itself as a thin-bezel monitor. Instead, it markets itself as a bezel-less monitor. That is correct–this bezel is so thin, it exists only for providing minimal support to the edges of the monitor. Such a design ensures viewers see only the what is being displayed on the monitor. Additionally, it is shaded gray-and-black to blend in with what is playing on the screen. With a 5ms response time, there will be no lag between keyboard input and visual representation. For gamers, shooting will be precise and accurate. Additionally, with a contrast ratio of 50,000,000:1, you will be able to enjoy the blackest blacks and the whitest whites–and everything between. Simply put, colors on this monitor will be gorgeous. Connectivity options include two HDMI ports and a VGA connector. Other ports include an audio-in / audio-out port. Finally, the monitor includes a 75mm wall-mount option. In terms of carrying this monitor, the primary handle is the monitor stem that supports the monitor. When carrying it, you should lift it from underneath the monitor while holding onto the support stem. It bears repeating that this monitor is so thin that you should not grip it by the edges. Doing so could bruise the screen, leaving crushed LED crystals. The VIOTEK NB27CB is a curved, 27-inch monitor with powerful speakers that line the ridge beneath the monitor. The support stem is a split, boomerang-style stand that provides a solid, low center of gravity. This design is important as it ensures stability. Carrying the monitor can be done easily by lifting it with one hand on the stem and one hand carefully beneath the monitor’s underside. Of course, this monitor can operate as a desktop monitor, but you can also opt to mount it to the wall via the 75 x 75 Vesa holes. In terms of functionality, this monitor is designed as a gaming monitor. 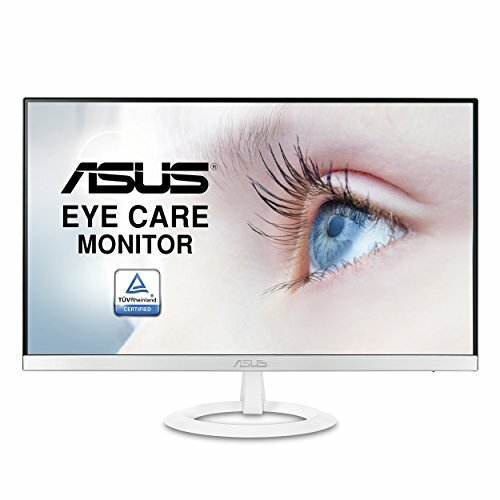 It has an industry-standard refresh rate of 75Hz, and the LED design is geared specifically to reduce image stutter. With a contrast ratio of 1,000,000:1, you will be able to enjoy the richest graphics any game has to offer without being frustrated by burned-out whites and black-hole blacks. Additionally, the gradations are smooth for millions of color shades. For general viewing on a desktop computer, the connecting ports are standard HDMI or VGA ports. However, console gamers also have the option of connecting it an Xbox One. As a matter of company practice, customer service is available 24/7. No one is quite sure if this monitor also holds a night job as a movie screen–it is just that big. At 34 inches, its curved surface creates a sense of immersion that actually causes the viewer to slightly look left and right when trying to see around something on screen. The aspect ratio is 21:9, so it can accommodate beautiful panoramic graphics without creating a letterbox effect. Designed to operate as a desktop monitor, it can also be wall-mounted via the 100 x 100 Vesa holes. 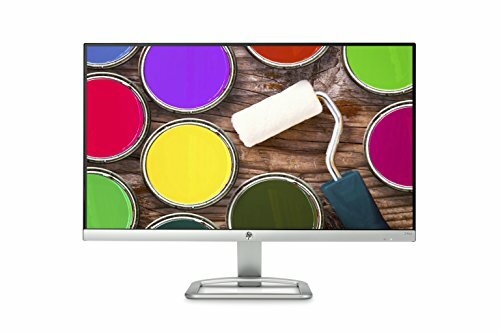 This monitor accurately displays over 99 percent of the sRGB digital spectrum. This means the colors can range from bright and bold to dusky and subtle–without burning out or fading. Simply put, every color is displayed accurately every time. Connectivity options include standard HDMI ports, but it also has a USB 3.0 “quick-charge” port. The quick-charge port can be used to charge ancillary devices, such as a tablet or smartphone. 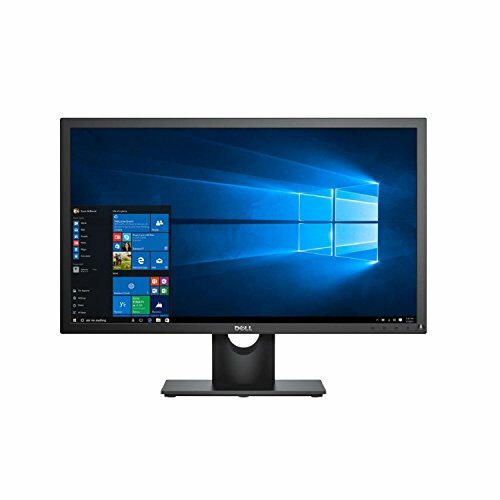 Perhaps the best feature is that this extra-wide monitor can also be programmed to serve as dual monitors, providing workers a multi-tasking environment in an efficient, compact space. For gamers, it offers six types of programmable game modes. The first three modes are color options. The second two are first-person-shooter modes, which allow for different viewing options in FPS action games. Finally, it has an RTS pre-set mode, so you can pre-set your mode-choice for your games.